Here we have last year's re-release of Mrs. 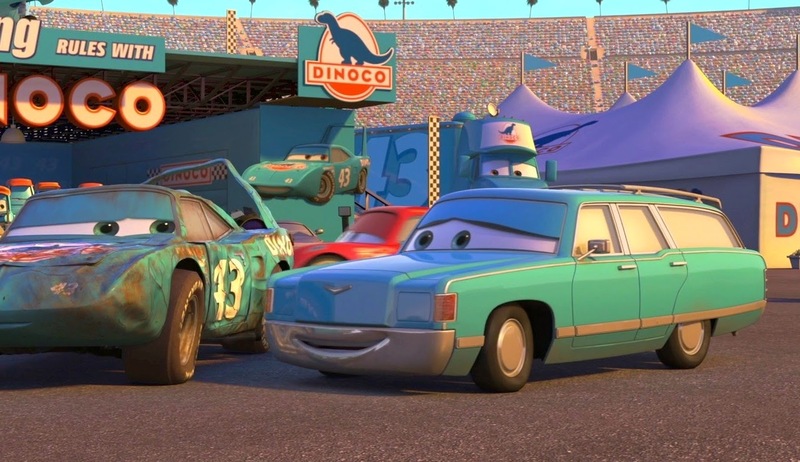 The King from the original Cars! This is a 1:55 scale car diecast from Mattel and was part of their 2013 "Piston Cup" sub-line. In the film, she is usually seen with the famous race car Mr. The King, her husband (screen shot from one of her brief moments above). This release of Mrs. The King came in a "movie moments" 2-pack with Tex Dinoco. She has never been released on her own outside of 2-packs, however this is her first release with Tex; usually she is paired with Mr. 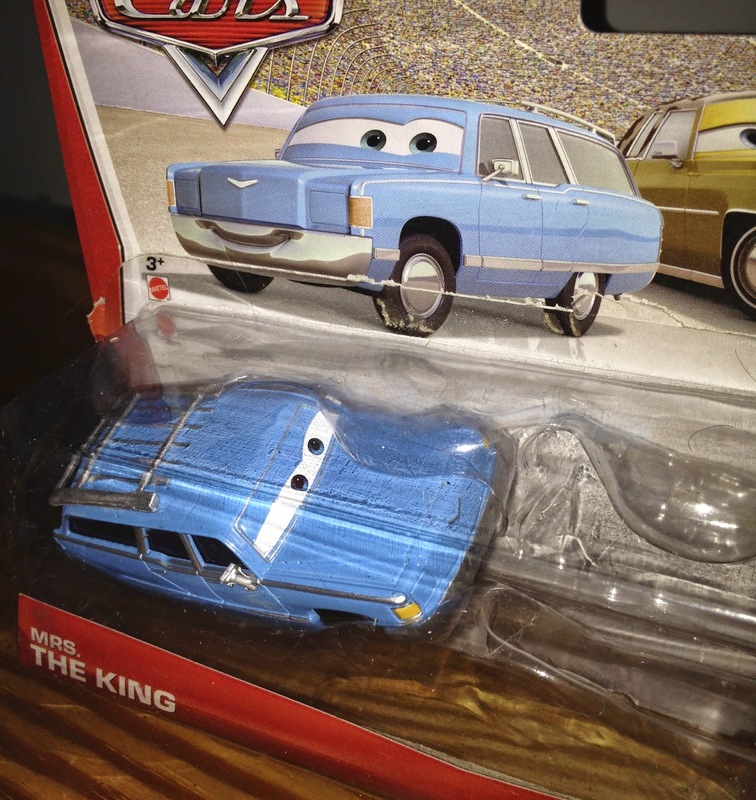 The King (such as in the "World of Cars" line from a few years back).